This tutorial is created by ADAXA, Australia for the benefit of the ADempiere community. 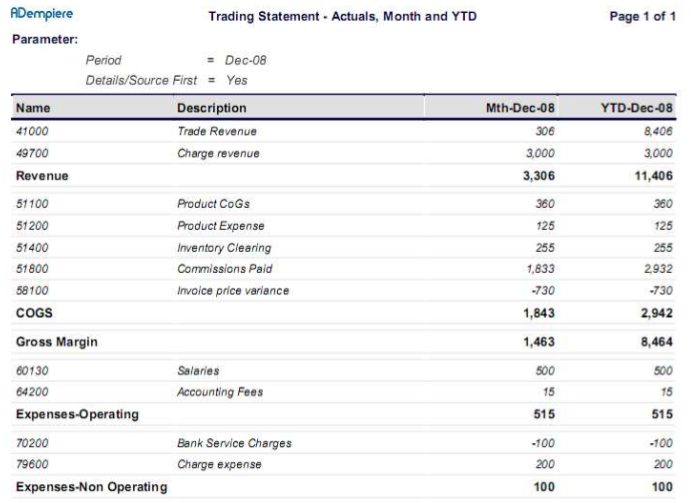 The following is a worked example of using the Adempiere Financial Report Writer to achieve a simple report with a reasonably pleasing appearance. It was prepared using version 352a alpha release and uses some features introduced in that version. The new features are stated in The Report Setup Steps. This page was last modified on 17 December 2008, at 23:17.